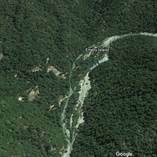 Yuba River, 20 Acres, Solar Power, Well, Creek.VRM: FROM $299k , Make an Offer ! ALL HOMES: Available = 411(+) .... 135(+) Sold in MARCH@ $430K (-)& $233/sqft. AVGS. GUEST UNITS, DETACHED: 20 from $325k .....2 sold last month @ $263 Avg./sqft. 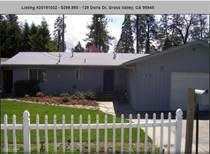 GOLFCOURSE HOMES in NEVADA COUNTY: 13 homes from $319k ...... 0 sold last month, Was @$557k Avg. $700k to $799,999: 34 Homes [29 up to 155 acres]...............3 sold in 165 days @ Avg.of 3350 sqft. @$246/sqft. *OCT. 2016 > SALES STATS: 112/389 Homes Sold @Avg.of $208/sqft. @Avg.Sale Price =$400k @Avg of 1990 sqft.in Avg of 58/70 Days. *NOV. 2017 > SALES STATS: 115/387 Homes Sold@Avg.of $221/$226 per sqft. @Avg.Sale Price =$439k@Avg.of 2066 sqft.in Avg.of 61/78 Days. *DEC. 2017 > SALES STATS: 104/325 Homes Sold@Avg.of $231/$238 per sqft. @Avg.Sale Price=$460k@Avg.of 1963 sqft.in Avg.of 46/56 Days. *MARCH 2018 > SALES STATS: 134/377 Homes Sold@Avg.of $233/$237 per sqft. @Avg.Sale Price=$472k@Avg.of 2105 sqft. in Avg.of 56/78 Days. *APRIL 2018 > SALES STATS: 121/442 Homes Sold@Avg.of $238/$243 persqft. @Avg.Sale Price=$478k@Avg.of 2027 sqft. in Avg.of 40/48 Days. *MAY 2018 > SALES STATS: 135/533 Homes Sold@Avg.of $242/$245per sqft. @Avg.Sale Price=$455k@ Avg.of 1960 sqft. in Avg. of 55 Days. *JUNE 2018 > SALES STATS: 170/555 Homes Sold@Avg.of $251/$255per sqft. @Avg.Sale Price =$494k@ Avg. of 2048sqft.in Avg.of 50 Days. *JULY 2018 > SALES STATS: 147/580 Homes Sold@Avg.of $247/$252per sqft. @Avg.Sale Price=$469k@Avg. of 2009 sqft in Avg.of 53 Days. *AUG. 2018 > SALES STATS: 144/622 Homes Sold@Avg.of $247/$252 persqft.@Avg. Sale Price=$475k@Avg.of 1995 sqft in Avg.of 46 Days. "40+ acres And A Very Nice Shop & Greenhouse"
"Owner may Finance, 40 acres"
"Approved Financing on the Home"
"VRM $259k to $300,000, Make an Offer!" 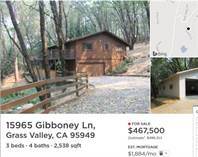 "Public water, sewer and natural gas"
"800 sqft... 2 bedroom 1 bath, garage"
"Nevada City, 3 Bedrm, 2 Bath, 1.7 Acres, Shop, Gardens"
"3132 SQFT , 5 Bedroom,4 Bath Exquisit Remodel"
"YUBA RIVER, 20 ACRES, CREEK, SOLAR, WELL"
"OWNER FINANCED, DISCOUNT FOR CASH"
"Home & Guest Unit on .41 acres...close to town"
"House & Guest House on 11 Acres"
"Priced from $399k to $430,000..... Make an offer"
"8 Acres, Shop, Barns, Fenced pastures"
"Stocked Ponds, Great commuter location"
"Big 3 bedroom, 4 bath Home w/ a 1568 sqft Shop"
NOBODY BUYS OVERPRICED LISTINGS ! "ONLY IF YOU COMPARE All AVAILABLE and SOLD COMPARABLES based on VALUE"
Will compare all homes with the STATISTICS below & pick the best "value". VALUE factors are Size, Location, Acreage, Age & the Quality of Materials RELATIVE TO THE PRICE /SQ.FT. KNOW WHAT BUYERS AND SELLERS ARE DOING>>THERE ARE NO SECRETS ! Total Sold : 104/100/157/138/152/153/145,130,142/103/72/91/106/98/147 homes, Avg: Sold Price: $382/$392/$380/$372/$344/$365,$396,$372/$360/$333/$365/$344/$342, dom/cdom 67/87 Days on Mkt. Former National Buyer, Levitz Furniture Co. - Founder, White Crane Trading Co., in China, Indonesia & The Philippines - Co-Founder, Coldwell Banker, Grass Roots Realty Inc.
Nevada County is located in the serene Northern Sierra Foothills and is the home of the Northern California gold rush. Nevada County is abound with majestic scenery unlike anywhere else in the world. Your dream home, whether it is a modern cabin in the mountains on ample acreage with stunning views, or in the heart of historic downtown, we have the perfect Nevada County Home for you. NEVADA CITY, CA is one of the most desirable and beautiful towns in the west. The charming historic downtown offers remarkable Victorian homes, incredible restaurants, specialty shops, and galleries. 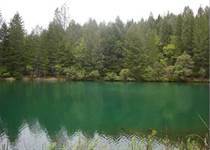 And don’t forget the pristine lakes, rivers, and lush forests just minutes away. NEVADA CITY REAL ESTATE IS SOME OF THE FINEST REAL ESTATE IN CA. Nevada City has a population of approx. 3,000 people. GRASS VALLEY, CA is Nevada City’s flourishing neighbor town and home to the most prosperous California gold mines. Historic Grass Valley has an array of classic Victorian homes, new residential neighborhoods, Custom homes, as well as a large business district, medical center, great schools, shops and more. 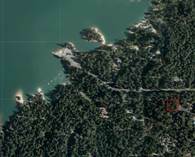 Grass Valley has a population of approximately 12,000 people. 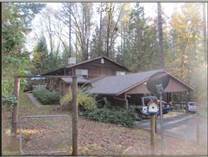 GRASS VALLEY REAL ESTATE is sometimes less then NEVADA CITY REAL ESTATE because there is a greater supply. When it comes to finding you a NEVADA COUNTY HOME, we sometimes feel torn between playing saint (helping you find a home you love) and playing accountant (finding a home you can afford). Buying a home is a draw between the heart and the finances. Each is as important as the other. As NEVADA COUNTY REAL ESTATE BROKERS, we will help you achieve a satisfying balance between the two. First and foremost, the wealth of knowledge and years of experience we bring to the table successfully negotiating and closing deals in the Nevada City, Grass Valley, and Western Nevada County real estate market, is a great advantage to you. We will help you find the home and neighborhood that suits your emotional and financial needs for today and the years to come. Next, we will do everything to make your Nevada County home buying experience easy and stress-free. Real estate transactions involve hundreds of details. That’s why we’ll help you find the right lender, inspector, appraiser, and all other local services needed to make your home buying experience smooth and sound. Whether it be your first home, a piece of land, or you’re a “veteran buyer,” we are prepared and more than willing to answer any questions about the Nevada City, Grass Valley, and Nevada County areas or any aspect of the home-buying process. We’ve walked side-by-side with thousands of buyers, like yourself, and taken them through the process of buying property and look forward to doing the same with you! As obvious as it may seem, making the decision to buy is the first step in buying a home. Consider your reasons for wanting a new home and write them down. Does it make financial sense to buy? Can you afford the Nevada County home that meets your desires and needs? What area would you like to live in? How long do you want to live in your new home? Also take into consideration that your monthly mortgage should not be more than 1/3 of your net monthly income. Seeking professional guidance is always a wise choice when buying a home. We would love to meet with you and discuss your reasons for buying a Nevada County home, your plans for the future, and exactly what sort of home you are looking for. We’ll talk about the neighborhoods around Nevada City, Grass Valley, Lake Wildwood, Alta Sierra and the rest of Nevada County, the schools, services available, as well as the economic factors affecting today’s and tomorrow’s market. In addition, we will help you get pre-qualified for a loan. We will recommend Nevada County loan brokers that have lenders that love to make loans on Nevada County Homes. In today’s market, it is crucial to be pre-qualified prior to negotiating a deal. After we have an understanding of your distinct needs and preferences, we can search our resources for homes that meet your criteria. Then we can review the homes of interest and schedule appointments to tour the homes at your convenience. During the home tours, we will highlight what we see as the positive and negative features, and you can tell us what you like and don’t like about the homes. As we move through the houses, certain things will become important while others less important. You will have a clearer idea of what you are looking for in a nevada County home, and we can then narrow in on the home of your dreams. For over 30 years, we have been a part of Nevada County real estate. Our understanding of the local market is a crucial factor in the search for your home. We can recognize when a particular property is “hot” and requires immediate action or when the market is “cool” and demands a more thoughtful approach. With this knowledge, we can better advise you on when the asking price has some wiggle room and when a house is “priced to sell.” It is important to note that there are multiple offers being made on the "hot" properties. Our insight into the market will allow you to stay a step ahead of the competition. In this unique economy, our knowledge and expertise of the Nevada County real estate market can help lead you to the right home at the right time. We are confident we will find your dream home in Nevada County. Once we do, we will put together a purchase agreement specific to your needs including applicable contingencies (such as obtaining financing, time of close, home inspection, clear title, etc.). Contingency offers give you the time needed to inspect and investigate the property BEFORE YOU ARE LOCKED INTO THE DEAL AND CAN'T GET BACK YOUR DEPOSIT MONEY !! Then the offer is usually presented with a cash deposit or “earnest money” to secure the offer to buy the property. Your deposit is applied to your closing costs. Once the seller accepts the offer, normally closing takes place 30 to 60 days from the offer date, with respect to the turn-around time for your financing requirements. The seller will either accept the offer, or respond with a counter offer to the initial offer. We will discuss the counter offer and whether or not to accept the counter, submit our own counter, or reject the counter offer and move on. This is common. So don’t be surprised or discouraged if this happens. Now how aggressively we negotiate a deal will depend on the market conditions. We recommend you set limits prior to negotiating an offer and stick to them, that way we know what your limits are and we work to stay within those limits. During the closing period, you and your Nevada County mortgage lender will be working to close the loan. Pre-qualifying for a loan prior to starting your home search expedites this process. We will gather the property information necessary for your Nevada County lender[s] to close the loan. Once the loan application is submitted to the lender, you will be given a “Good Faith Estimate” of the closing costs. This estimate is based on the loan officer’s previous experience and may not include all the closing costs. We then review your “Good Faith Estimate” with you and answer questions and highlight cost and estimates we believe may be low. We won’t be able to give you the exact figure but can help anticipate what the likely costs will be. We will ask your NEVADA COUNTY ESCROW & TITLE OFFICER to prepare your estimated costs. These officers are the most qualified individuals to make these estimates. Nevada County Real Estate is their specialty. Congratulations! You are now a Nevada County home owner. Enjoy this victory. Now you can make your new house your new home. We will provide you with a checklist of details to assist you in making your moving day comfortable and hassle- free. We look forward to being there with you and your family at each step of the Home Buying process! Feel free to call us today and let’s get started! Welcome to AllNevadaCountyHomes.com , your source for NEVADA COUNTY REAL ESTATE. We are vigilant about keeping you informed about the very best priced homes and acreage including: EXTREMELY WELL PRICED PROPERTIES, FORECLOSURES AND PRE-FORECLOSURES. Financing Available. Many financial institutions are making home purchase money available for buyers with credit scores of 580. We have got buyers into homes with 3.5% down and have had the sellers cover the closing costs and credit points towards your loan to buy the interest rate down. Ofcourse loans and rates will vary daily but there is MONEY AVAILABLE. Please contact me to see how much can be availble for you. In today's competitive real estate market, timing is everything. Many good homes are sold before they are ever advertised. Beat other homebuyers to the hottest new homes and acreage for sale in Nevada County with my New Listings Notification. Go to the CONTACT ME TAB and order free online reports with pictures and addresses. CONTACT ME TAB>> AUTO-NOTIFICATION for all the DEEPLY DISCOUNTED PREMIUM PROPERTIES,FORECLOSURES and PRE-FORECLOSURES. 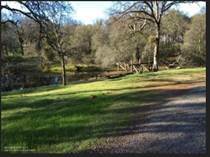 YUBA RIVER , 20 ACRES WITH AN ISLAND ! 400 PRISTINE ACRES, 7200 SQFT VINYARD BARN, AIR STRIP, BIG WATER, SPLIT ?